Designed to complement the design of Ludwig Mies van der Rohe's famous Barcelona chair, Döttling's new Liberty Barcelona Watch Safe is targeted at those who can afford the finer things in life. 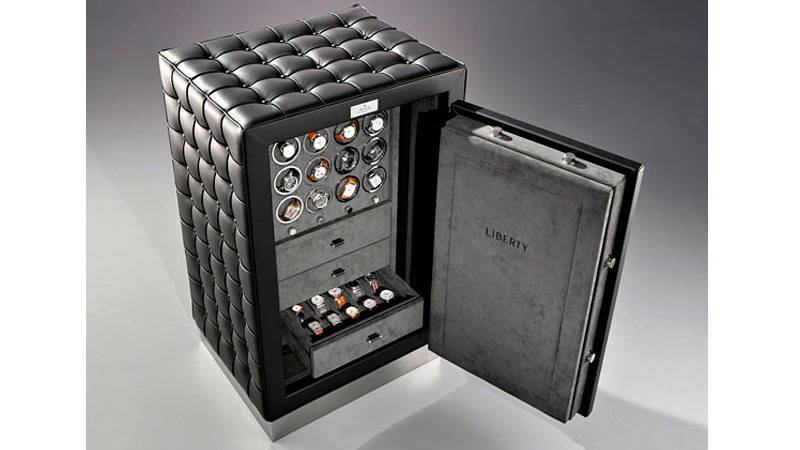 Like $US5,000 chairs, and $88,000 safes designed to only hold timepieces. Before you spit-take on that price tag, keep in mind that this safe not only protects a valuable watch collection from the sticky fingers of the other 99 per cent, it will also keep up to 12 pieces perpetually wound while they're stored inside. I think most of the one per cent would agree that makes this a real bargain — or at least those who know what the word bargain means. But if you're interested you better act fast, since just 29 of these 661 pound special edition behemoths are being produced.